Microsoft today announced availability of new azure cloud services named as Azure App Service. Azure App Service. Azure App Service is a replacement of old Azure Websites / Azure Mobile Services, earlier these services were delivered separately and Microsoft has integrated all these capability in to single service and made it easy to configure. 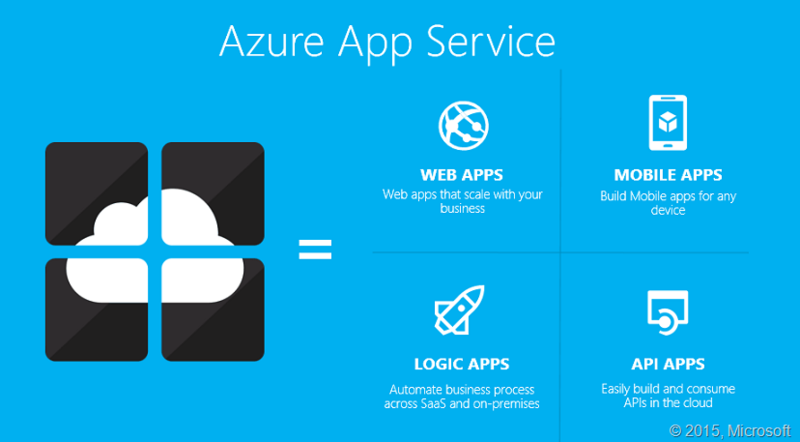 Azure App Service enables you to easily create Web + Mobile + Logic + API Apps easily . Azure App Service is an integrated service that enables you to create web and mobile apps for any platform or device, easily integrate with SaaS solutions. Built-In API connectors for Logic Apps. What are you waiting for, sign-into the Azure Preview Portal and Get Started.